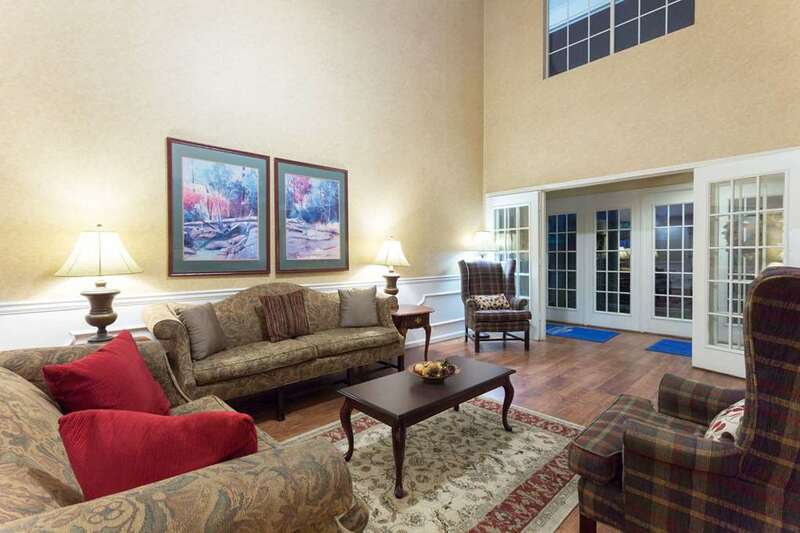 Southern hospitality welcomes you at this Baymont Inn and Suites Easley/Greenville, just off Highway 123 and convenient to the Greenville-Spartanburg Airport, Clemson University, Table Rock State Park, Southern Wesleyan University and Bob Jones University. Pets are welcome at this lodging, which offers complimentary wireless Internet and complimentary breakfast with freshly made Belgian waffles, as well as fitness center, daily paper courtesy of the hotel, large-vehicle parking and 24-hour front desk. Keep up with the office on the go in the business center with computer access and fax service, and when the work is done relax in the outdoor pool or cook on the barbecue grill. Enjoy the pillow-top mattresses, microwave and refrigerator that come standard in every room, ideal for longer stays. Bring the whole family, as there is no charge for kids 17 and under when accompanied by adults.